When looking to setup a merchant account, both Paypal and Google Checkout are great solutions. They both have pros and cons but I wanted to give a brief overview of the two merchant solutions. Paypal offers both a personal and business account. One type of account. Requires a Google Account to sign up. Basic: Allows you to create simple “buy now” buttons. Perfect for someone selling only a few items. 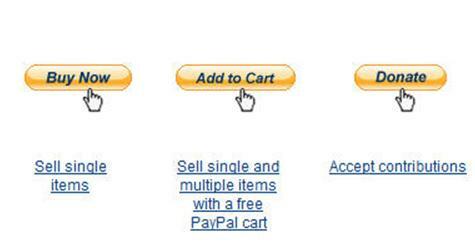 Shopping Cart: This option will integrate Paypal into some of the most popular third party shopping carts. Custom Integration: Similar to Google’s Feature Rich Integration, this will allow you to integrate into a custom shopping cart. Paypal has a feature called the Paypal Sandbox Test Environment which allows developers to test the integration before they push it live to the site. Google has two ways of integrating Google Checkout into your website. Light Integration: You can either send an invoice via e-mail or create a “buy now” button. This integration is perfect for companies that take phone orders or only sell one product. Feature Rich Integration: This integration allows you to implement Google Checkout to an existing shopping cart. They have something called a Virtual Terminal. It is the equivalent of swiping a credit card at a brick and mortar store. It gives you the flexibility to take orders anywhere, on the phone, online, by fax. The great part is you do not have to invest money into expensive machines to process orders. Paypal has the majority of the market share. As of right now, more people have Paypal accounts than Google Checkout accounts. When you accept Google Checkout as a form of payment, you will have the Google Checkout logo next to your pay-per-click ad. There have been studies that show an increase in CTR for ads that have the Google Checkout logo. Non-Profit Organizations you will be able to process donations by credit card or debit card for free until 2009.